Try as I may to avoid the tourist traps, there is something irresistible about an excursion by boat. Not being sailors ourselves there are few options than to join a tour boat if you want to explore from a new perspective. Seems we not just picked the right boat but the right day and time. Cruising along up front I was in pole position for all the wildlife marvels we saw – Hector Dolphins, Little Blue Penguins, New Zealand Seal, Cormorants and Albatrosses. 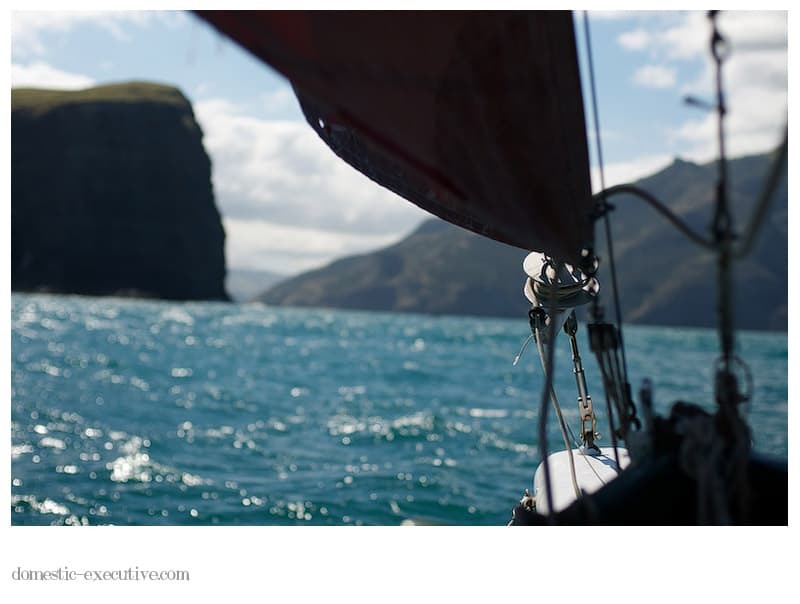 Can hardly believe our luck – seeing the big five of Akaroa on one trip. Even the skipper was a little amazed. My poor camera needs a rest.